Cell-matrix adhesion is the interaction of a cell with the extracellular matrix, mediated by multi-protein adhesion structures such as focal adhesions, fibrillar adhesions and podosomes. The ECM is a network of extracellular molecules which are secreted locally to ensure cell and tissue cohesion. 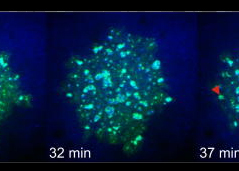 The ECM also serves as a reservoir for extracellular signaling molecules that control cell growth, migration, and differentiation. The major classes of ECM molecules are proteoglycans, collagens and multi-adhesive matrix proteins (e.g. laminin, fibronectin). In mammals, the ECM is commonly known as “connective tissue”. ECM components are linked to each other through diverse protein and carbohydrate-binding domains. For stability in tissues, cells are linked to the ECM through cell adhesion receptors (e.g. integrins). A specialized form of extracellular matrix that underlies the basal side of polarized epithelial cell sheets to separate them from the underlying connective tissue is the basal lamina . Basal laminae (plural) also surround individual muscle cells, fat cells, and cells lining peripheral nerve cell axons (i.e. Schwann cells) . The basal lamina is thin and flexible, and is composed of closely packed matrix molecules that lack significant volume. The basal lamina components are synthesized and deposited by the cells on either side: the epithelial cells and the cells within the underlying bed of connective tissue (i.e. fibroblasts). 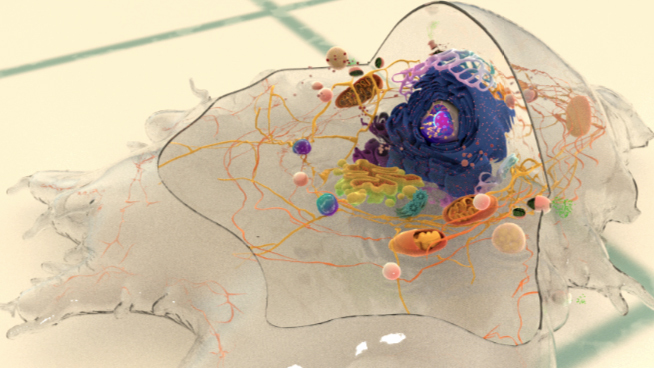 The basal laminae forms a cohesive network and mechanical connection between cells and their external environment. Force-driven signals originating between the basal lamina components (i.e. fibronectin) and linked cell adhesion receptors (i.e. integrins) is communicated to the interior of cells through a mechanotransduction system to influence cell polarity, metabolism, fate, and migration. The key constituents found in the basal lamina are glycoproteins (i.e. laminin, collagen) and proteoglycans (i.e. perlecan), however, the precise composition varies from tissue to tissue and various other molecules (e.g. fibronectin) can also be found . 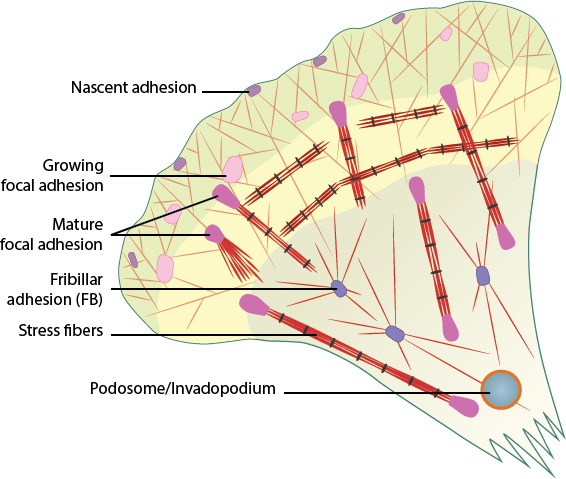 Cell-matrix adhesion complexes include nascent adhesions, focal adhesions (growing and mature), fibrillar adhesions, stress fibers, and podosomes/invadopodia. Cell-matrix interactions are mediated by adhesion receptors and lead to the formation of multi-protein adhesion structures that interact with the actin cytoskeleton at the cell interior; collectively, they are called cell-matrix adhesion complexes (CMACs) . These adhesions act as vital information processing centers that enable cells to sense numerous extracellular signals that convey information about the chemistry, geometry, and physical properties of the ECM (reviewed in ). 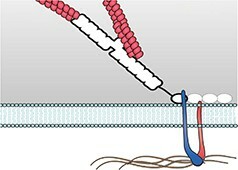 The substrate type or chemical composition (reviewed in ), its rigidity , and the surface topography (reviewed in ) influence force-induced events through CMACs, and mechanosensitive cells transmit this information through subsequent mechanotransduction pathways and signaling cascades to influence diverse processes such as the cell shape, polarity, fate, motility and deposition and/or restructuring of ECM components  (reviewed in ).